As the chaos in her life grows, can she overcome both the threats and turmoil? She’s a genetically modified Magdalene who wants to be like any other teen on Terra, but its unholy Church won’t leave her alone. 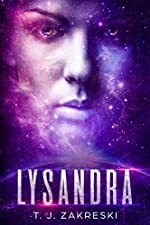 Now that it has rebooted Cygnus, an alien space virus from Earth she once destroyed, her only hope is an ex-con and defrocked lawyer, Andron, who once tried to kill her. Together they join a team of misfits and take the fight to the Church in a kugelblitz exploding ending that raises questions about whether the universe has an undiscovered fifth force. 25 years have passed since a savage killer terrorized California before disappearing without a trace. The only surviving victim of his rampage was a child…who is now wanted by the FBI. Special Agent Matthew Roarke is on a manhunt to track her down. 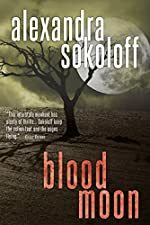 But when Roarke’s search unearths evidence of new family slayings, the dangerous woman he seeks—and secretly wants—may be his only hope of preventing another bloodbath.